The ultimate cocktail drink in an instant! While True Heritage Brew Singapore Sling® Original Mix requires you to add fresh pineapple juice or other juices, we have now created a drink which is ready-to-serve as it is! There is no need to add anything: drink it straight up. True Heritage Brew embarked on an extensive research project with Singapore Polytechnic and the Food Innovation and Resource Center (FRIC) to create a ready-to-drink version of the Singapore Sling®. Many months of research and development with countless consumer tests and revisions culminated in the True Heritage Brew Singapore Sling® Ready-to-Drink (RTD) Original. Just chill and shake, pull off the cap with a pop, and you are ready to enjoy the iconic Singapore Sling® with its signature taste and sophisticated finish. 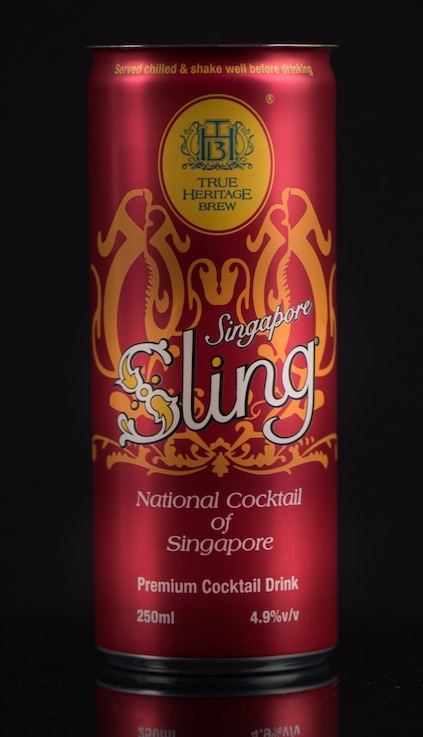 Contained within an exquisite aluminium can of contemporary design made in France, True Heritage Brew Singapore Sling® Ready-to-Drink (RTD) Original will appeal to the fashionable and stylish. Chill and shake before serving.